Direct English is one of the leading franchises in the ELT industry. Direct English Ireland is part of the Direct English Linguaphone network based in the UK. Founded in 1997, it is a global leader in language training with schools in more than 20 countries all over the globe. Its unique methodology helps students learn English effectively, improve their skills and gain confidence. 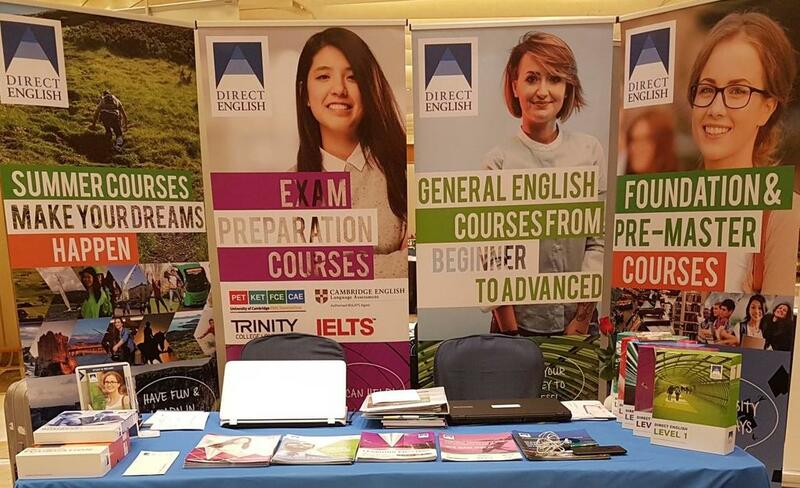 Direct English (Ireland) is authorised by Cambridge BULATS, Trinity College London &amp; TIE test Centre. Our school is also a provider of Cambridge and IELTS examination prep. We offer numerous short and long term courses including General, Academic, Business English, from Foundation to Advanced levels. All courses are tailored to suit individuals or groups. Small class sizes or one-to-one sessions provided according to students’ needs and requirements are a guarantee that students will never fall behind.